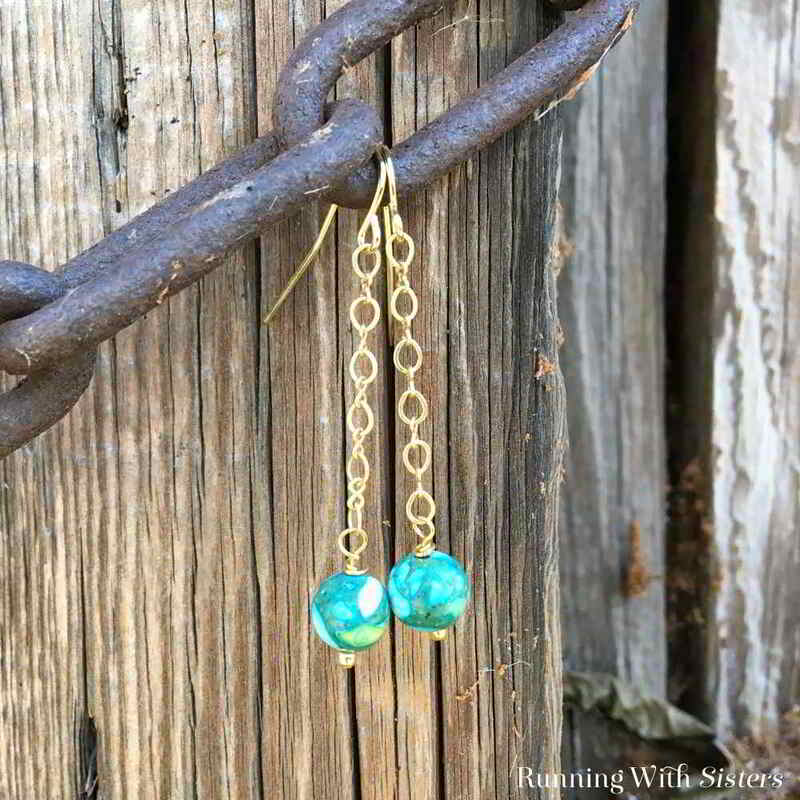 Make a pair of Dangling Bead and Chain Earrings in just a few easy steps. 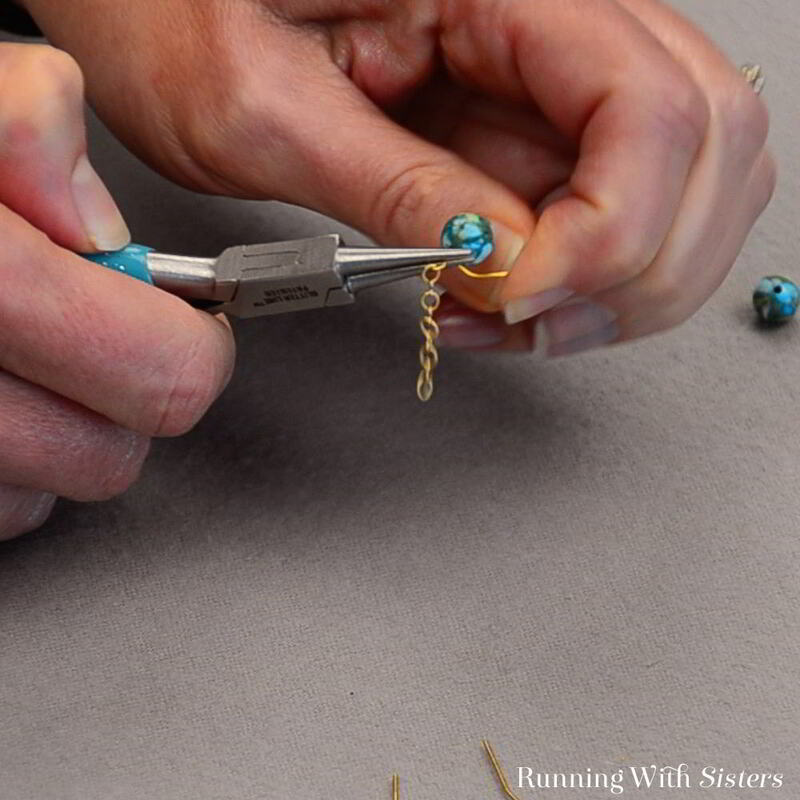 In this jewelry tutorial, we’ll show you how to cut chain, how to add a bead to the end using a headpin, and how to make a wrapped loop. We love making earrings with chain. It’s so easy to get a lot of movement, but still have a delicate and simple look. 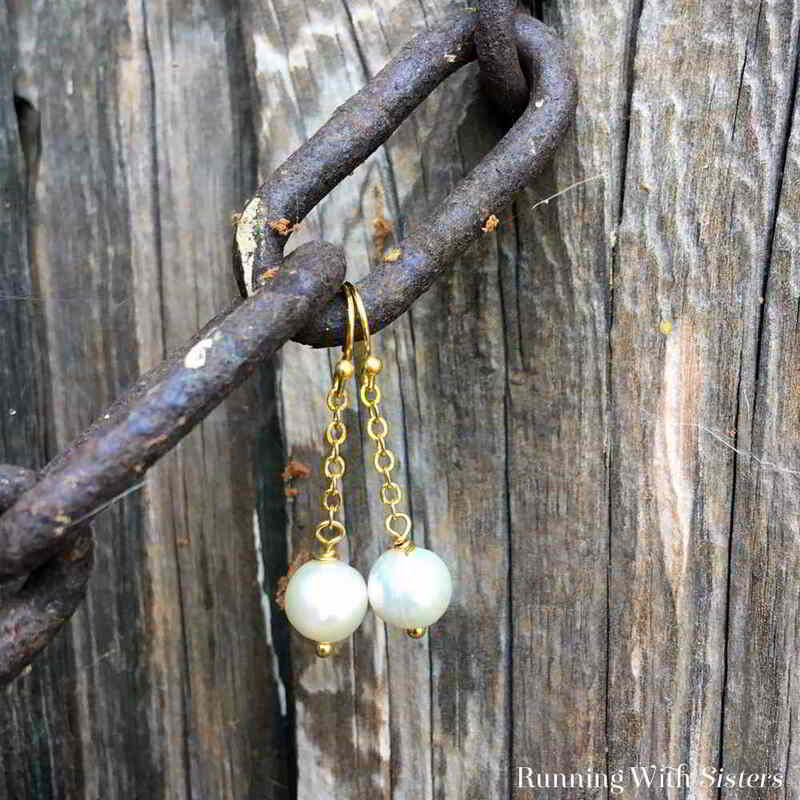 For these earrings we raided our stash of chain remnants. We always keep the ends of interesting chain when we cut it for a project. This gold loop chain has nice round links in it, so the chain itself adds interest. 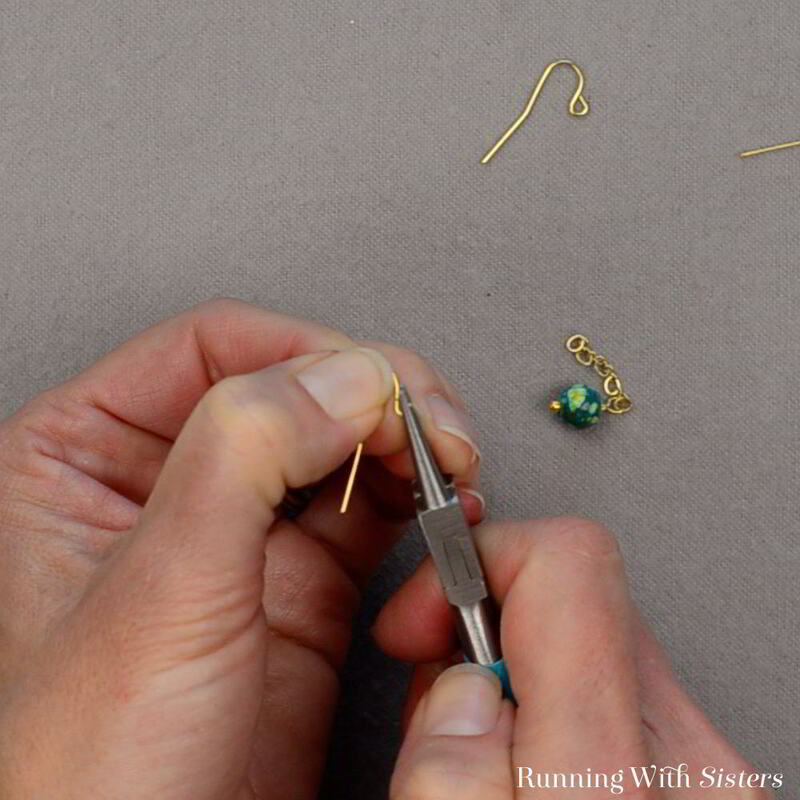 Here’s a video we made showing how to cut the chain, how to make the bead into a dangle and attach it to the chain. It’s all really very simple! Watch the video to see how we did it, then use the steps below to make your own. 2. Next feed your focal bead onto the the headpin. The hole in our pretty green bead was too big for our headpin and slipped right off. But no worries! We added a tiny gold seed bead to the headpin. 3. Then we slid on the green bead. The little seed bead acts as a stopper bead to keep the pretty green bead from sliding off. 4. The next step is to make a wrapped loop in the headpin just above the bead. 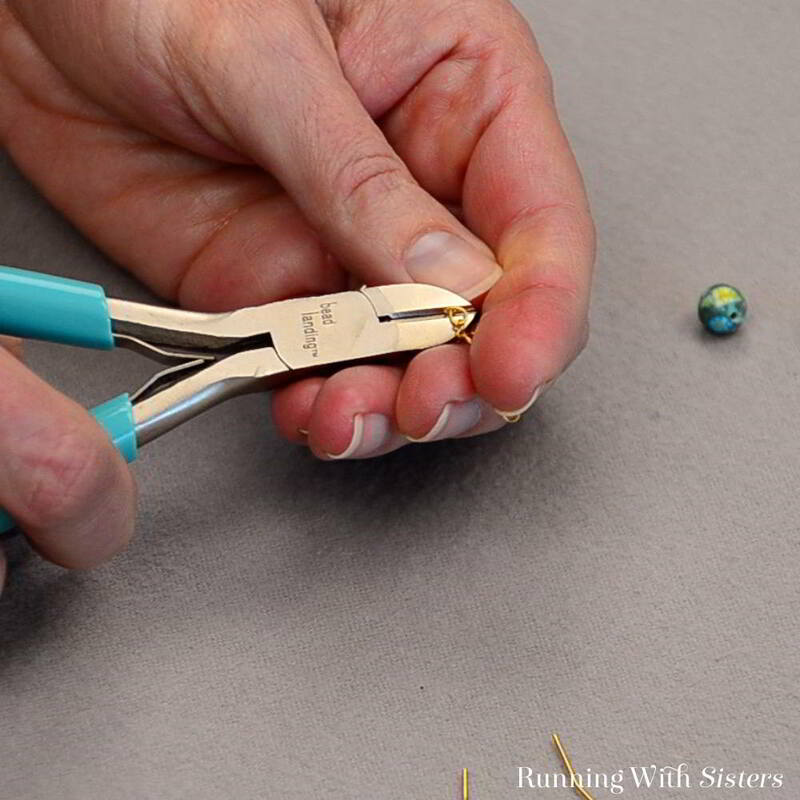 To do this, grasp the headpin with the round-nose pliers just above the bead. 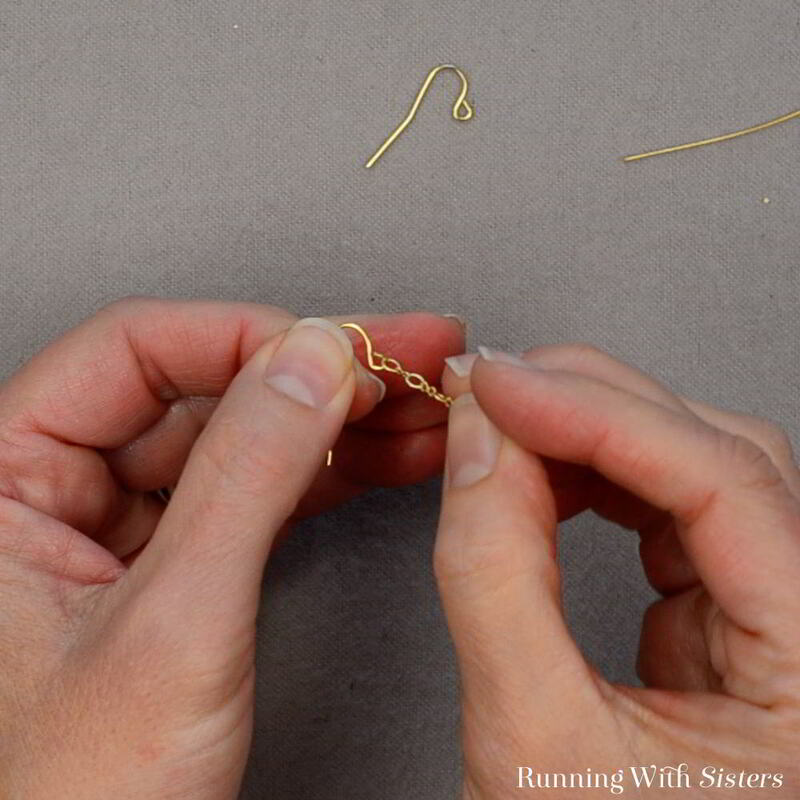 Pull the tail of the headpin toward yourself to make a 90 degree bend in the wire. 5. Move the round-nose pliers to the top of the bend. 6. Pull the tail of wire away from you, up and over the top jaw of the round-nose pliers. 7. Move the bottom jaw of the round-nose pliers into the loop so you can finish pulling the wire around to make the loop complete. 8. Feed the last link of the chain into the loop. 9. 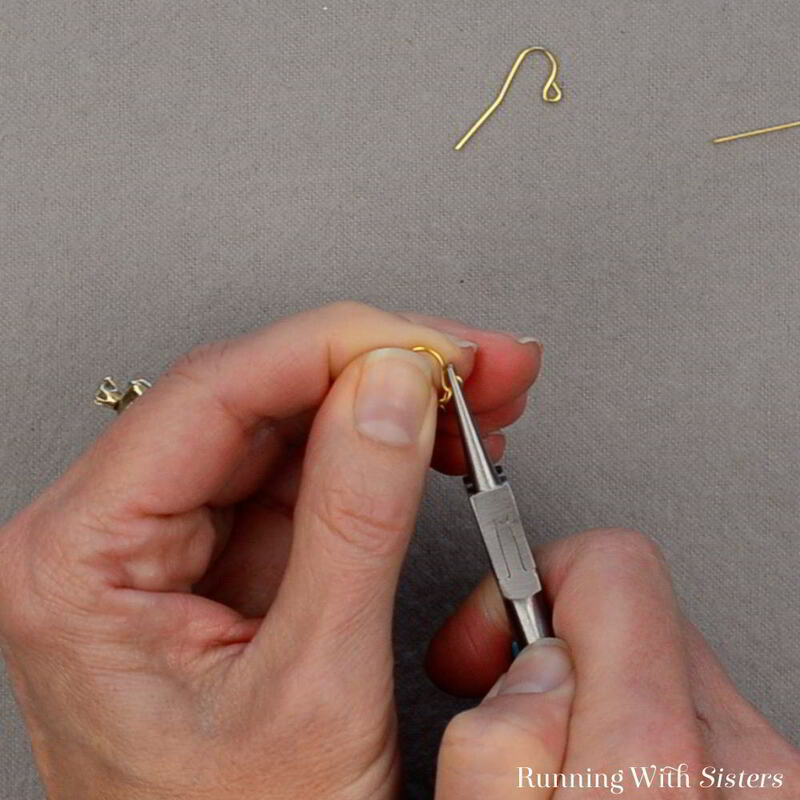 Grasp across the loop with the pliers and pull the tail of the headpin around the wire where it comes out of the bead. Pull the tail around two times to make two wraps. 10. Use the wire cutters to trim the end. 11. Open the loop on the earring wire. We recommend opening it sideways to keep the round shape. 12. Slide the other end of the chain into the earring wire loop. 13. Press the earring wire loop closed. 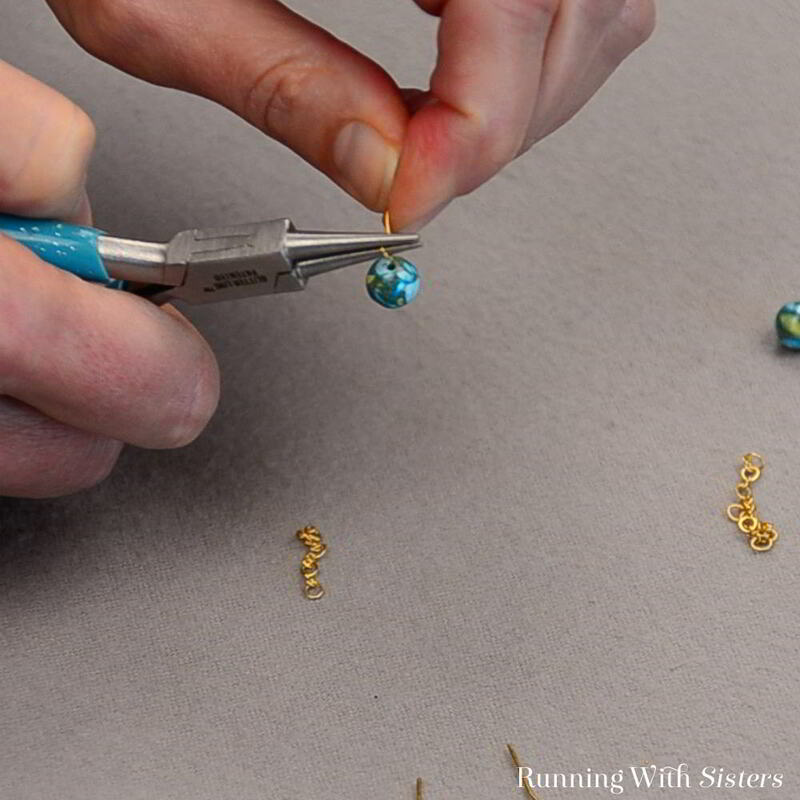 Repeat to make the second earring. 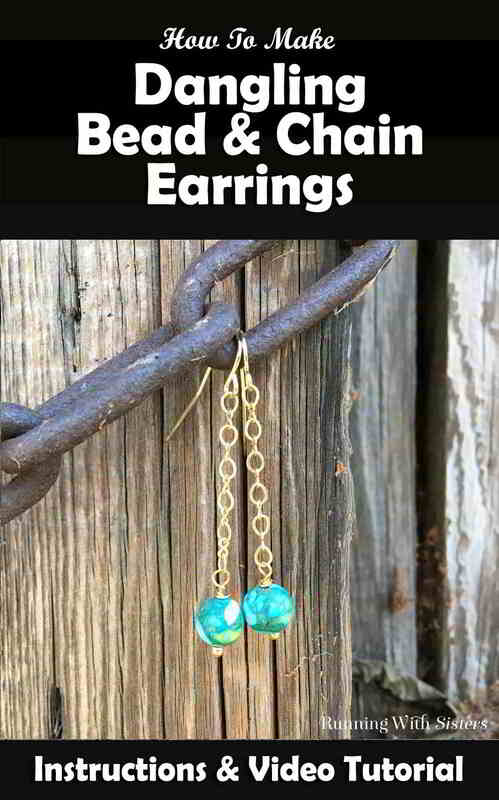 You can make these Dangling Bead And Chain Earrings with any beads. We made a pair with pearls that turned out gorgeous! 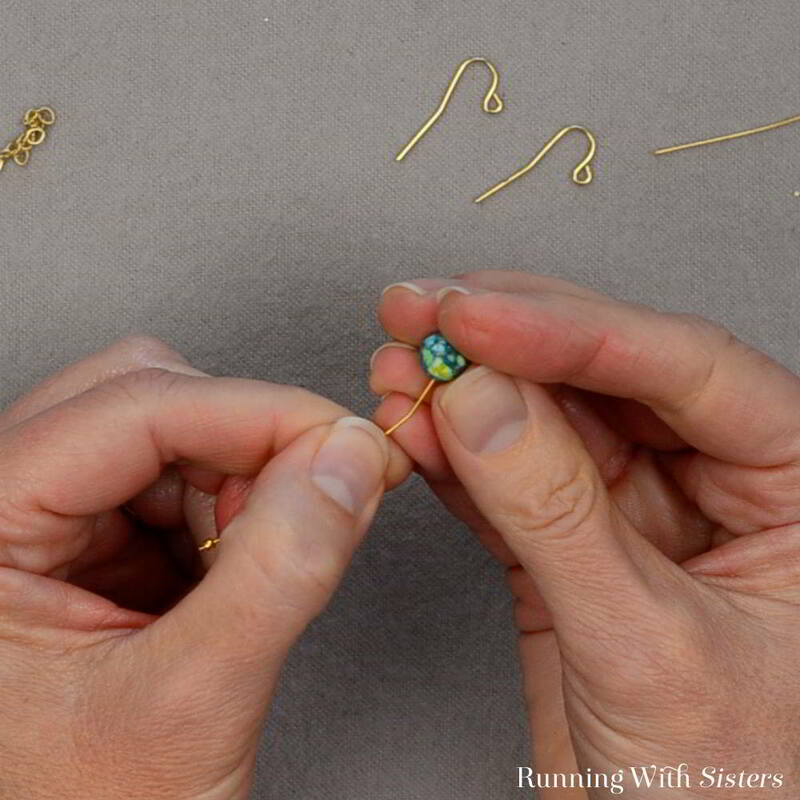 Remember while you are working on these earrings or any project, we’re here to help. If you have any questions, leave us a comment below.